A couple of months ago I read David Allen‘s book Getting Things Done. It was packed full of useful information and has helped me get clarity and focus with every project on which I work. One of the suggestions in his book is to Mindmap (brainstorm). Lillian observed me doing this in which I draw a circle in the middle of a blank page with lines extending from it. 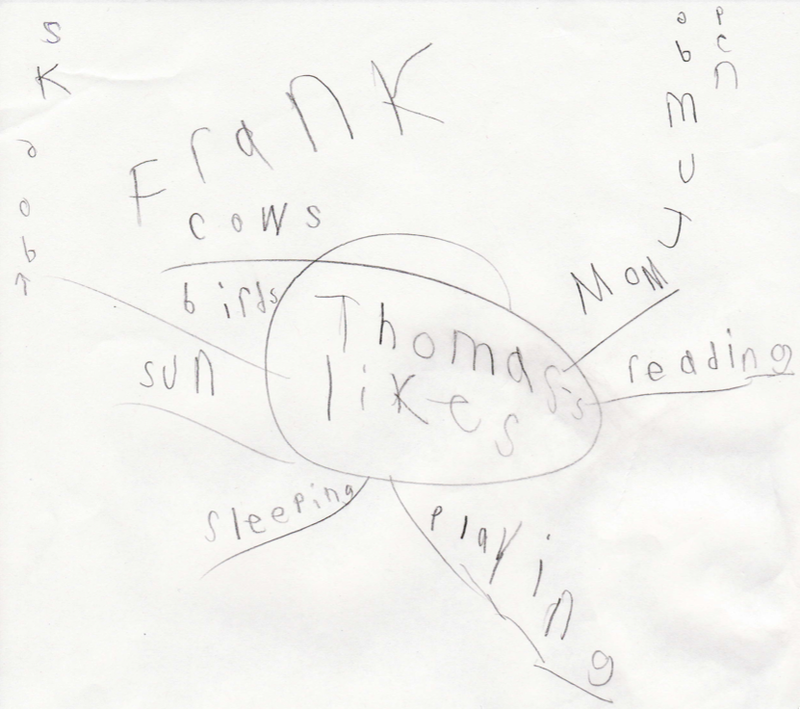 She has taken to doing her own mindmapping; so, I thought I would share her mindmap for what Thomas (her little brother) likes. Enjoy!